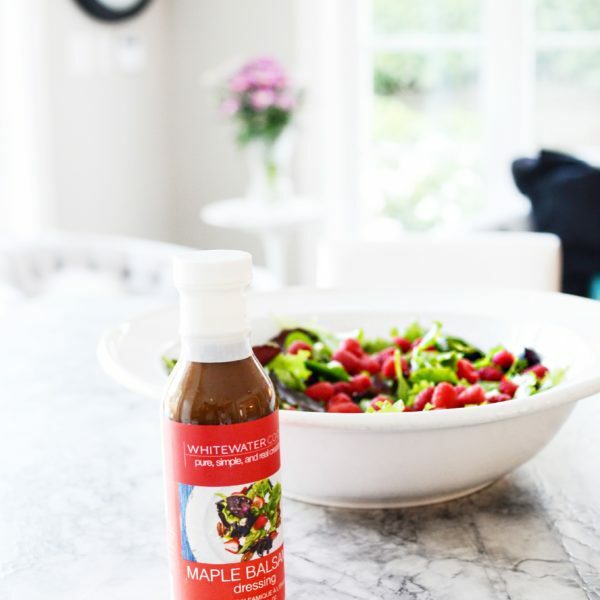 Real maple syrup, rich balsamic vinegar, sesame oil, soy sauce and olive oil makes this vinaigrette uniquely flavourful. Fabulous on our Spring Greens Salad with goat cheese, sliced strawberries or raspberries and toasted pecans found in Whitewater Cooks pure, simple and real creations . Also amazing on salmon and chicken as a glaze before cooking.